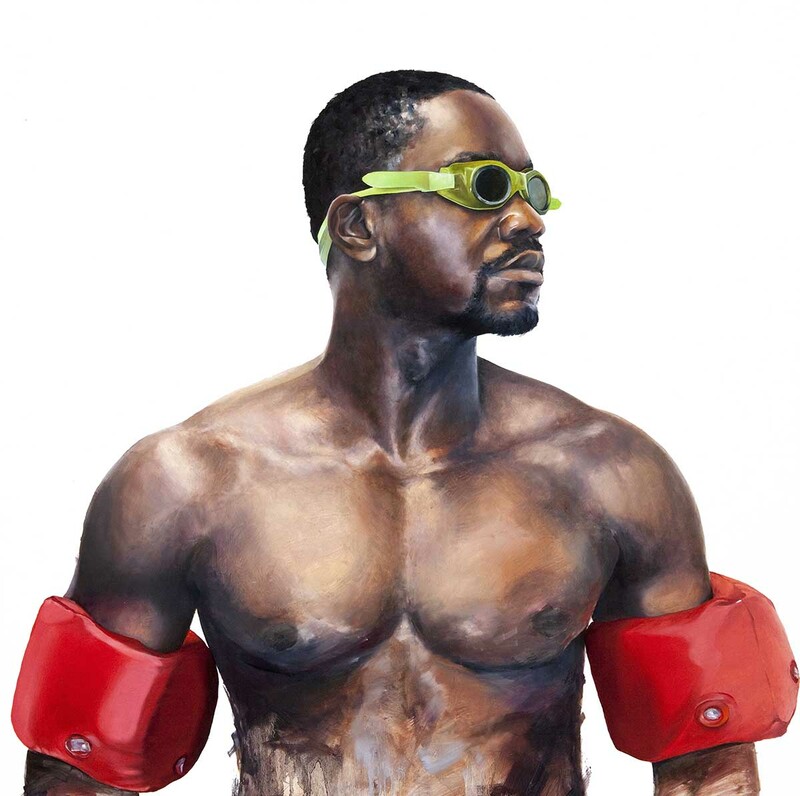 This summer, the Art Museum presents The Water’s Fine, a group exhibition of five exceptional contemporary artists working in black-and-white photography and hyper-realistic painting, all who depict people in—or contemplating getting in—water. 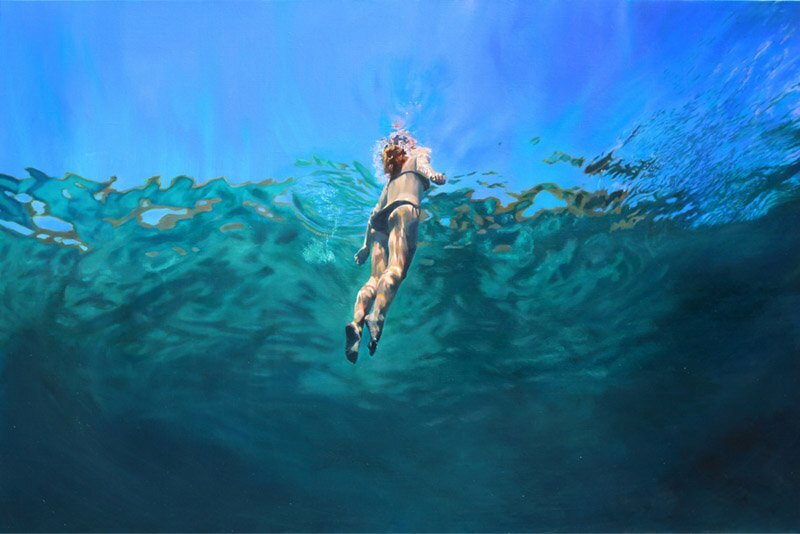 Participating artists include painter Samantha French (Brooklyn, NY), photographer Carl Kerridge (Myrtle Beach, SC), photographer Wayne Levin (Honolulu, HI), painter Matt Story (New York, NY) and painter Charles Williams (Charlotte, NC). What is it about being in water that gives us a natural high? For one, it’s the experience of that sense of the sublime—the quality of greatness, whether physical, moral, intellectual, metaphysical, aesthetic, spiritual or artistic—when one feels the smallness of oneself engulfed in endless view of the vastness of a large body of water. Such a feeling connects us back to nature– back to the basics– reminding us that we are lucky to be alive. Feelings of weightlessness, zen and complete freedom fill our hearts and minds as we float atop of and suspend our bodies in water, turning upside down and all around. All we have to do is hold our breath. This is the atmosphere we hope to achieve for our visitors when they come to experience The Water’s Fine this summer at the Art Museum. Museum guests can expect to see a variety of hyper-realistic, large-scale paintings and captivating black-and-white photographs of people depicted swimming, floating, diving into, contemplating getting into and even turning flips in bodies of water. 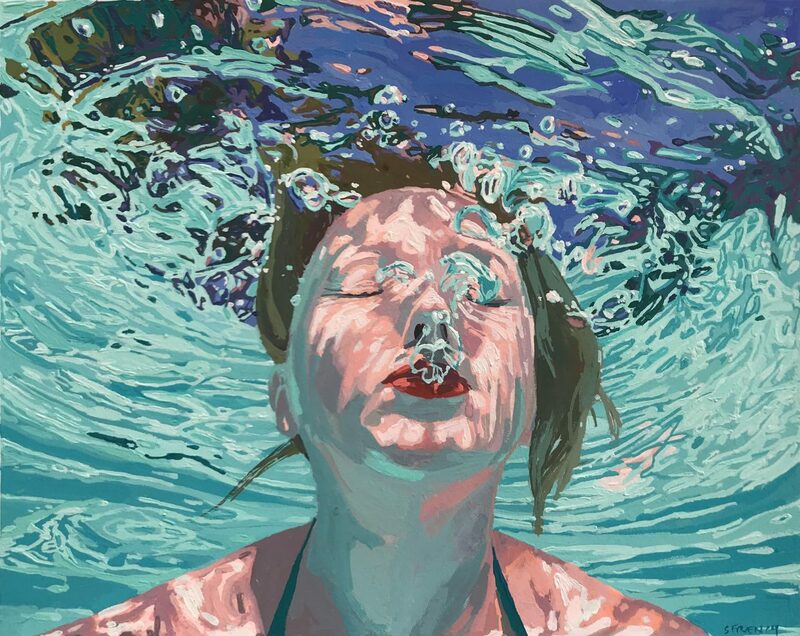 Paintings will be grouped with photography in ways that present aesthetic relationships to one another in terms of their imagery, mostly in respect to the way the human figure is rendered under water. The Art Museum invites you to come on in…the water’s fine! Samantha French was born and raised in Minnesota and graduated from the Minneapolis College of Art and Design in 2005. Her current body of work explores the idea of escape, the tranquility and nostalgia for the lazy summer days of her childhood and is inspired by the artist’s own reflections and memories of her childhood summers spent in the lakes of Northern Minnesota. French actively exhibits her paintings and is included in many private and public collections throughout the country while her work has garnered extensive international and national press. She is a full-time painter and keeps a studio in Brooklyn, New York. Carl Kerridge grew up with a camera in Norwich, England. For over 15 years, he has resided in the US and run a successful and award winning photography business. His work has been featured on magazine covers, national ad campaigns, billboards and websites. In his spare time, he creates fine art photography inspired by some of his favorite photographers: Irving Penn, Richard Avedon, Herb Ritts and Edward Weston. Kerridge strives to incorporate appreciation for beauty into each work and to create a powerful and lasting connection between the image and its viewer. 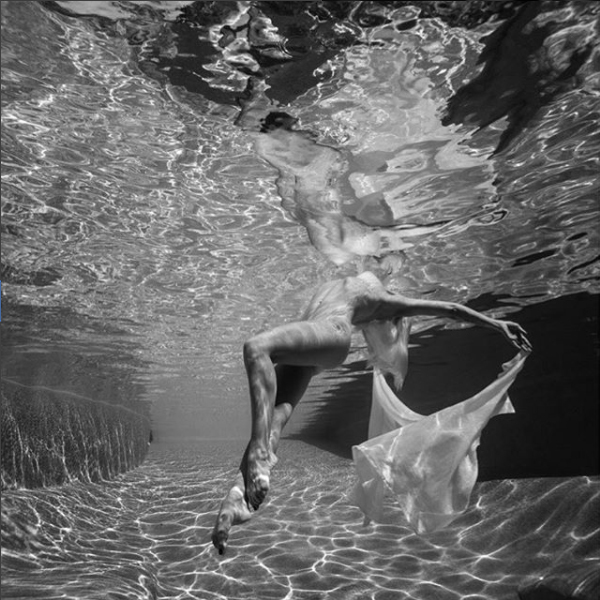 His collection of underwater black-and-white nudes focuses on the female form and the texture created by reflected light. 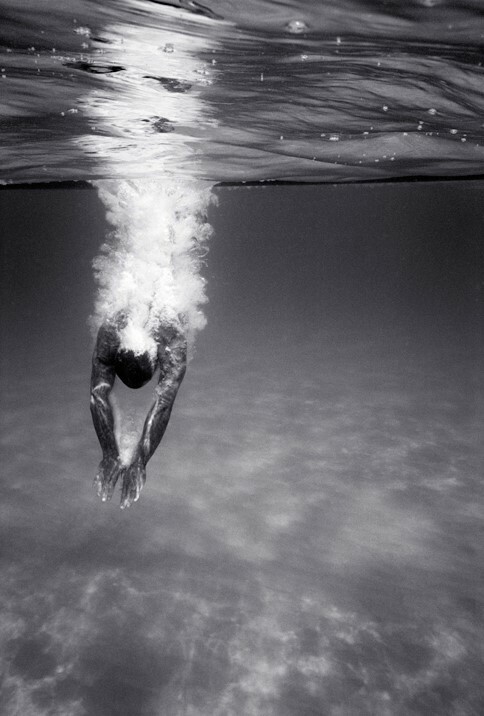 Wayne Levin has spent a career photographing the eerie and mysterious underwater world. Working in black and white, he removes the surface illusions about the ocean and the assumptions about underwater photography. Levin earned his BFA from the San Francisco Art Institute in CA and his MFA from Pratt Institute in NY. His monograph, Through a Liquid Mirror (Editions Limited, 1998), received the Hawaii Book Publishers Association’s award for Book of the Year. Levin received the Photographer’s Fellowships from the Ohio Arts Council (1989); and the National Endowment for the Arts (1984). His photographs are widely exhibited and are in major public collections, including the Museum of Modern Art in NY. Matt Story studied art from an early age and demonstrated a unique skill for rendering verisimilitude, or hyper-realism. After graduating from UCLA, he worked extensively throughout North America in film and television production. Story has worked for over 20 years from his studio in Los Angeles. His method of oil painting on canvas and panel closely resembles the classical method, used for centuries by masters such as Titian and Caravaggio, two of Story’s heroes, fastidiously building up thin glazes, painting “fat over lean” with traditional materials. His work is included in private and corporate collections in the United States, Europe and Asia. Contemporary realist painter Charles Williams’ compelling art intends to capture human emotive responses to the natural environment and our surrounding reality. Rather than shy away from personal fears or challenging societal constructs, Williams embraces the world as it is and interprets that reality in his work. His paintings are inspired by personal experience, historical photographs and current events. The Georgetown, SC native is a graduate of the Savannah College of Art and Design in GA. He received his MFA from the University of North Carolina, Greensboro.